"extremely prominent locations" in India's metropolitan cities. The stores are being referred to as "Flagship Apple Premium Reseller" outlets. While not official Apple stores, the locations will each be "at least three times larger" than the current reseller stores, which average about 1,000-1,500 square feet (via The Economic Times). According to three senior industry executives, Apple may go up to as much as 5,000 square feet for the improved reseller locations in an effort to build them as "anchor shops" in malls and high-traffic outdoor shopping areas. Apple will reportedly start construction on the flagship outlets first in New Delhi, Mumbai, Bangalore, and Chennai. Sometime after those locations, the company will then open outlets in Hyderabad and Pune. A specific grand opening window for these outlets was not given. The outlets are part of Apple's revamped India strategy, which includes overhauling its relationship with independent retailers, long-lasting retail deals, and opening official Apple retail stores in the country. These official stores are said to open beginning in 2019 and eventually include locations in New Delhi, Bangalore, and Mumbai. Apple's new strategy began when Michel Coulomb was hired to oversee the company's India growth at the end of 2017. Apple routinely struggles in the Indian market due to the higher prices of its smartphones in comparison to other manufacturers like Xiaomi, and other factors. The other major aspect of the revamped strategy is Apple's services, which will be "aimed more closely at Indians" thanks to certain apps that will get major updates in the country, like a new Apple Maps coming by 2020. Earlier this year, Indian iPhone users discussed Apple's poor performance in this area and one user specifically called Apple Maps "a joke" in India. While some services like Apple Music were favorably received, others like Siri were identified as low points for Indian customers, as the assistant "often struggles" with local accents and does not understand "many words of Indian origination" -- all pain points that Apple is hoping to address. Whats new in this? Apple already has this kind of setup in India for sometime now..increasing square feet of retail doesn't help..
4/ Does it really help in reducing the cost of apple products ? NO! 5/ Improvement in maps? hell no! iPhones are just too expensive for those living in India. I don’t see them selling much of their products there for a while. Louis Vuitton sells handbags more expensive than cars, and they have stores in India as well. When it comes to India, I think you Tim have 2 options. Samsung just did pre-orders for the Galaxy Note 9 in India. India is a huge (and growing) market. Only fools would skip the second most populous country in the world. India just isn't ready for the brand of company that Apple is. Apple isn't going to offer special Indian versions of their products that sell at a cheaper price. Until the standard of living improves drastically for those billion people, Apple products are simply aspirational. And the privacy/security issues with the government will make it a worse market than China to operate in. Apple at least makes money in China to justify the government issues. The only disadvantage Apple has in India is local manufacturing (which they started working on recently) and the lack of features like dual-SIM. The likes of Samsung has established their factories in India long time ago, and thus have advantages in taxes and cost. Apple is quite late in Asian market outside China due to their focus on China. Yes most of India is poor, but it has a large middle class, larger than all of Western Europe. However, everything that is great about Apple products is not valued as much by this large middle class, where value for money is the #1 metric. So when you have a phone that does everything that an iPhone does, maybe 80% as good, but is half the price, the Indian consumer thinks he has received the better end of the bargain when he/ she buys a Xiaomi phone because here you have a device that looks like an iPhone and does all the things an iPhone does, but it didn't cost as much as an iPhone. iPhone has a fingerprint sensor that is lightning quick and more accurate than the competition? So what, my phone has the same feature and it doesn't matter that it doesn't work 100% of the time or is slower than your iPhone. Better camera? Big deal: I have more pixels and the pictures are good enough. Inconsistent interface? Not so smooth scrolling? No rubber band effect? These are not important things to the middle class Indian. Facebook, Instagram, WhatsApp, YouTube: all those Apps look the same, even on inferior phones. Many of Apple's advantages are therefore nullified in India. The rich of India, who appreciate and value what Apple and its services has to offer probably don't even buy their iPhones in India :-/ Or if they do, they get it right away through unofficial channels. So what is the solution to ramp up sales in India? One idea would be to offer models exclusive to India. Maybe it would just be cosmetic at first. Yes, it's a small market, but Apple has to take the 100 year view. Think of growing sales by just 1M per year. The Indian FCC wants you to help it block spam calls? Instead of stalling, come out with an India specific OS that does just that- it can still be called IOS ;-). Maybe IOS could understand Hinglish which no other OS does? Imagine if IOS could translate local Indian languages? Or somehow work with the Aadhar system to act as an Identity Authenticator. These are just a few suggestions, people who live in India could probably find 100s of other annoyances that Apple could help solve, thereby making its products indispensable. 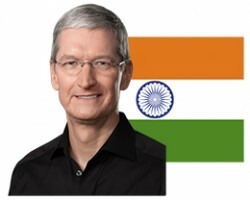 Apple has to think like a startup to succeed in India and it can't be done by sitting in an Ivory Circle in Cupertino. If/ when they solve this problem, it is going to make for 1 great case study @ Harvard and other management schools. I’ve been in a country where “Apple Premium Resellers” are sole distributor for Apple products. Not.fun.at.all.. They’re third parties, and middleman too, and they will sell you apple products with high markups and low end services. Any warranty claims must be authorized by regional Apple offices and it takes longer time than it should. I cant get my iPhone 7 battery replacement program with Apple Resellers. Too much bureaucracy. Problem: iPhones are too expensive. I don't think the real issue is been captured here. The issue is not the lack of bigger stores or not even the cost to some extend. There are more than enough indians who appreciate the apple ecosystem and want to use it. I have been on iphone's and macbooks since 2011. I recently made the switch to linux, and there were many reasons, and cost wasn't one of them. I am happy to pay the premium, if the product is worth the money and lasts, the problem I had was, I wanted a 13 inch macbook with 16gb ram, that apple doesn't sell in India ( the only way to get 16gb ram macbook in india is with 15 inch, and having used that in the past, I didn't wanted a bigger laptop) , then, apple doesn't even sell apple care + in india, and I happen to break my macbook by a drop, I get it, it was my mistake, I should have to pay for it, but when a company sells the same product here, at a ridiculous currency conversion, why not give us the same service that you give to the western world, why not have any APPLE service centers in India, not third party ? I am not saying, that other companies are better in India in this regard,but when you are paying through your nose, you expect similar type of service that is globally available. The reality is Indians want value for their money, even if it costs a little more, if I can be assured it will be properly supported with the same standards as the west, I would buy it. A company who has different standards for different parts of the globe, that's just racism to me. Apple wants the presence and to reassure its stockholders that it is growing in a booming foreign market to instill confidence. In reality there really is no commitment in India let alone service and support. People have debated on MR that India customers unlike Chinese customers have more money, their fail to mention that Apple has official Apple Stores in China and is planning on a rapid expansion effort. Want to take a guess how many official Apple Store are in India? Apple is paying lip service to its stock holders that it knows the Indian market, in reality their efforts thus far have not been fruitful.